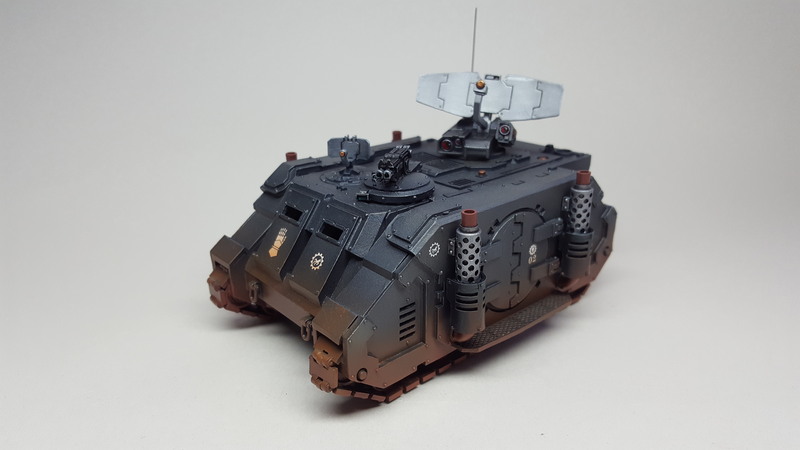 One, if not the best Right of War for the Iron Hands is “Head of the Gorgon” which allows “tank” type vehicles to outflank, so the Damocles ability to effect reserves was a must add. The aerial is a length of plastic fibre from a handbrush. 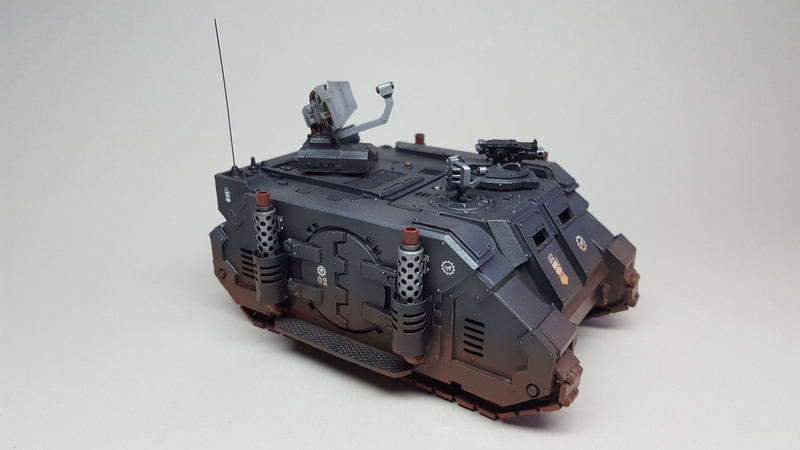 Previous Previous post: Legion Vindicator Laser Destroyer Squadron. Next Next post: Iron Hands Legion Techmarine.